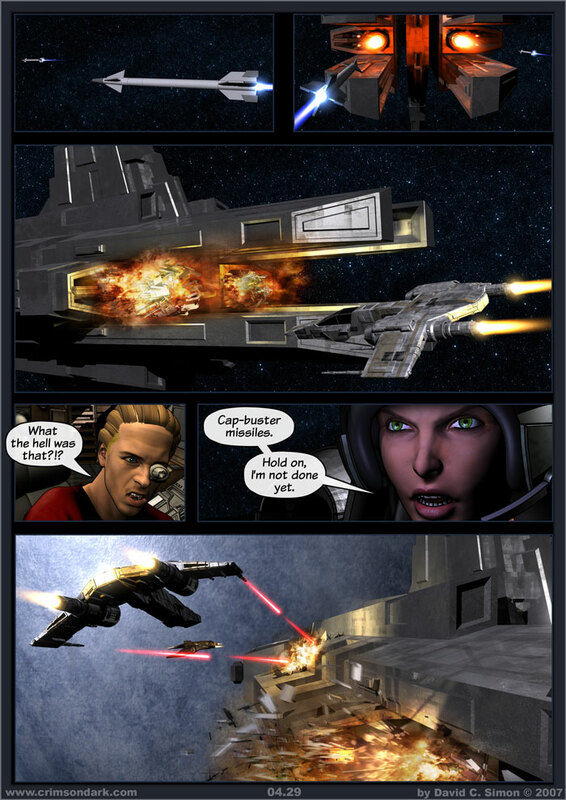 "Cap-buster" is slang, literally "Capital Buster", in that they're good at hurting capital ships. Though far less potent than a torpedo, they can still do a lot of harm if delivered into the vulnerable sections of a ship (such as its engines). A few people have complained about the missiles having maneuvering fins, even though they're flying through space. The fins are there so that the missile can be launched into an atmosphere from orbit, or even launched into orbit from a fighter in an atmosphere. The Scimitar fighter is certified to enter as far as the mesosphere of an Earth-similar planet, making it a wonderfully flexible design.